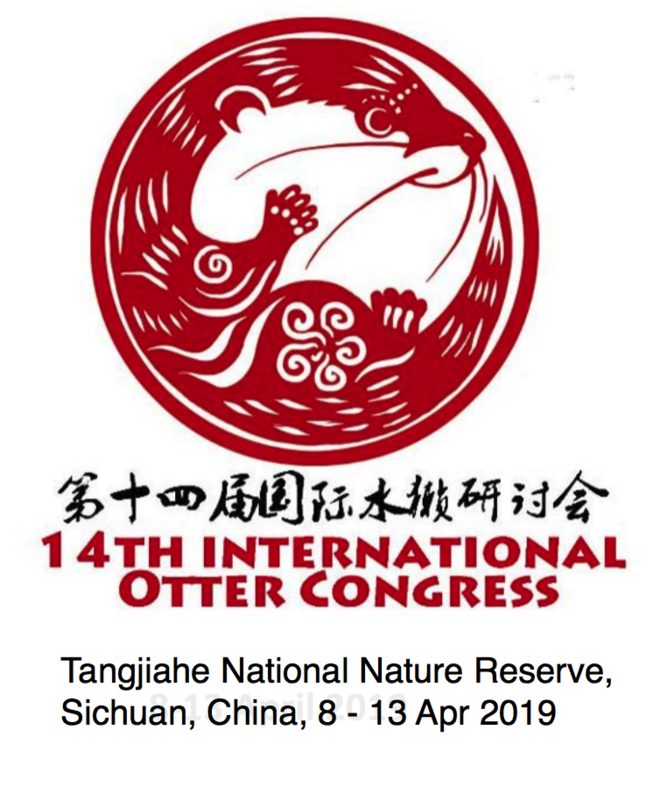 Liow Jia Zhen Tina – Home range, activity pattern, and feeding ecology of pre-natal and post-natal smooth-coated otters (Lutrogale perspicillata) in Singapore. Loh Wanqi – The Common Palm Civet Paradoxurus hermaphroditus (Pallas, 1777) in Wessex, Singapore: their ecological role and human perception. Magena Yeo – Examining the ethological basis to “Monkey Guarding” – a behavioural precedure utilised in integrated management towards deconflicting human-long-tailed macaque interactions. Mohammad Noh Bin Mohammad Ismail (LSM3289, 8MC; submits in Sem 1 AY2018/19) – Population status of the Common Water Monitor (Varanus salvator) and Estuarine crocodile (Crocodylus porosus) in Sungei Buloh Wetland Reserve, Singapore. Tan Yan Hui Shaina (LSM3288 4MC; submits in Sem 1 AY2018/19) – Dynamics of marine debris on non-recreational beaches in Singapore: retention rates, lateral movement and sources. Chua Jie Ling Trina – Evolution of the community development model in the Friends of Parks initiative in Singapore. Ho Lijean – Frequency, distribution and site analysis of mammal roadkills in Singapore. Quek Xue Han – Status of poaching in Singapore: an investigation of its occurrence, diversity and distribution from Dec 2014 to Jan 2018. Tay Sianglin – Targeting source, route and point of disposal to eliminate on-the-go recycling contamination. Lim Wei Zhi (LSM3289; submits in Sem 1) – Territoriality in two families of smooth-coated otters in the Marina Bay catchment of Singapore. Tang Yong Jen (LSM2288, 4MC; submits in Sem 1) – Herptiles of NUS: pre-monsoonal diversity, distribution and temporal variation. Quek Xiao Tong (LSM2289, 8MC) – Establishing a monitoring mechanism for long-tailed macaque-human interactions with considerations for pre-empting conflict. Fatin Nadzirah Bte Zahari (LSM3289, 8MC) – Home range and activity patterns of three troops of long-tailed macaques Macaca fascicularis Raffles, 1821 in the environs of Wildlife Reserves Singapore (WRS). Everlyn Julya Koh (LSM3288, 4MC; submits in Sem 2) – The herpetofauna of NUS: post-monsoonal diversity and distribution, and temporal trends. Denise Ong Rui Ying (LSM3288, 4MC; submits in Sem 2) – Population distribution, structure, activity pattern and diet of Oriental Pied Hornbill in the Queenstown/Commonwealth area. Wong Hiu Fung (study report; submits in Sem 1) – Evolution of environmental volunteering for the conservation of the marine environment of Singapore. Wong Hiu Fung – Evolution of the role of the public in the management of the marine environment of Singapore. Tan See Yi – The status, distribution and public awareness of the endangered coastal horseshoe crab (Tachypleus gigas), green turtle (Chelonia mydas) and hawksbill turtle (Eretmochelys imbricata) in Singapore. Holt seniors – Marcus Chua, Xu Weiting, Fung Tze Kwan, Amanda Tan, Meryl Theng & Chloe Tan. Lai Chui Ting – Factors contributing to human-long-tailed macaque (Macaca fascicularis) conflict at MacRitchie Reservoir Park and suggestions for pre-emptive management. Submitted Semester 1. Tan Qiao Hao Joys – Ranging behaviour of the Hindhede Macaca fascicularis Raffles, 1821 troop, during the closure of Bukit Timah Nature Reserve, Singapore. Quek Zheng Bin Randolph – A preliminary investigation into the autecology of the clustered fishtail palm Caryota mitis Lour 1790. Cheong Ka Min Delicia – Marine trash in Singei Mandai Kechil mangrove, Singapore: abundance, composition and distribution. Lee Lijin, Audrey – Human-ecosystem conflict in Singapore: diversity, spatiality and legally; and a study of encroachment in prohibited nature areas. Zhang Yuchen – The distribution and characteristion of coastal streams on mainland Singapore. Tham Si Ting Claudine (LSM3288) – Characterisation of a freshwater stream in Bukit Timah Nature Reserve and implications for long-term management. Ong Shu Yi (LSM2289) – Characterisation of a brackish water stream in north-east Singapore with reccomendations for conservation of a rare habitat. Xu Weiting – Bukit Timah Nature Reserve: an investigation of communication strategies, stakeholder participation and public perception. Waverly Aw – Perceptions of climate change in Singapore and its implications. Wee Kin Guan – An evaluation of the Science Centre Observatory’s communication through Sidewalk Astronomy and Public Outreach. Ong Say Lin (UROPS) – Wild pig (Sus scrofa) distribution in mainland Singapore and human- wildlife management challenges. Xu Weiting – Autecology and public awareness of the Paradoxurus hermaphroditus (Pallas, 1777) in an urban environment in Singapore. Siti Aisyah Binte Jamal – Gut morphology of mangrove tree-climbing crabs in Singapore. Su Linting Theresa – Feeding ecology of large carnivorous mudskippers in Singapore mangroves. Chua Aik Hwee Marcus – Can medium-sized terrestrial mammals coexist with man on Pulau Ubin? Xie Huiru (UROPS) – Morphometrics of Selatium brockii: Is there evidence for allometric growth? Chua Jie Ling Trina (UROPS) – Tidal migration of the Giant Mudskipper Periophthalmodon schlosseri (Pallas, 1770) in a Singapore Mangrove. Su Yuhan – Conservation attitudes towards nature: A Singapore perspective. Loh Kok Sheng (UROPS) – Mass mortality and recruitment of intertidal marine invertebrates in Chek Jawa, Singapore. Chan Puay San Grace – Aspects of the ecology of the mangrove crabs Metopograpsus frontalis and Metopograpsus latifrons (Brachyura: Grapsidae: Grapsinae) in Singapore.